Why is it so hard to find a good RSS reader for the iPhone? Sure, there are a few, but not many are as refined as Reeder. 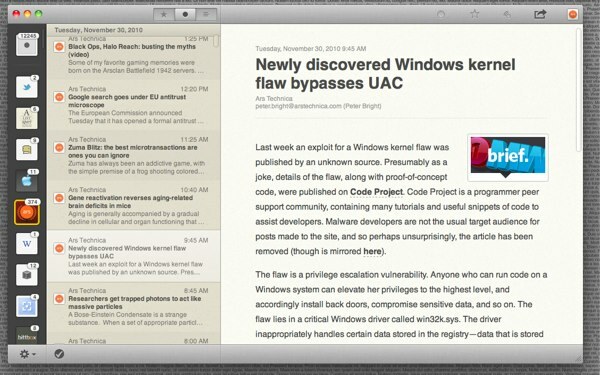 Reeder 2 now offers state-saving functionality, as well. 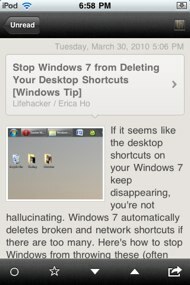 If you exit the app to check your email, Reeder resumes right where you left-off when you come back. Really, it strikes me as the “Tweetie 2 of RSS readers.” It’s one of the apps that easily earns its spot on page one of my iPod’s home screen. 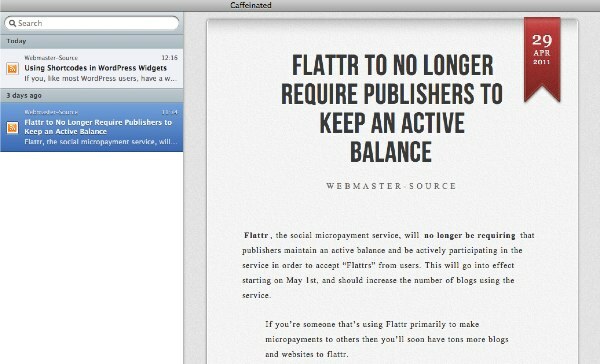 Now, if only the developer of Newsfire would add Google Reader syncing. Then my feed-reading experience would be excellent. The developers behind the SimplePie RSS parser (the de facto standard for PHP RSS parsing) have announced that they are ending their work developing the project. …effective immediately, we are ceasing development of SimplePie and shutting down the project. We will shortly be pushing all code to GitHub. The mailing list will continue to serve users for the time being, but my sincerest hope is that someone will take up the charge to fork SimplePie, fix all of its issues, and continue on with this project that’s been such a huge part of my life for the past 5 years. WP Tavern pointed out that WordPress recently incorporated SimplePie into the core for anything related to RSS parsing (such as Dashboard and sidebar widgets). This means it’s in the WordPress project should definitely be keeping an eye on this issue. EDIT: Ryan McCue, an ex developer of SimplePie, has created a new fork and he and Matt Mullenweg are trying to pick up the SimplePie domain name. (Mullenweg has offered to pay for hosting and domain renewals.) So, the short story is: development of SimplePie will continue. I have about twice the number of Twitter followers as I do RSS subscribers. 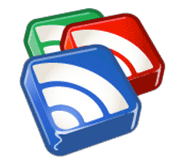 RSS is an open standard built from the ground up to serve-up new content as it is released. It excells at delivering information and making it readable in a quick and efficient manner. Yet it is still, for the most part, confined to the realms of geekdom. Despite the strengths of RSS, it hasn’t been adopted by the general public, while Twitter, a proprietary social networking site, has. It’s a bit harder to understand RSS over Twitter, and subscribing to feeds isn’t the easiest thing in the world.